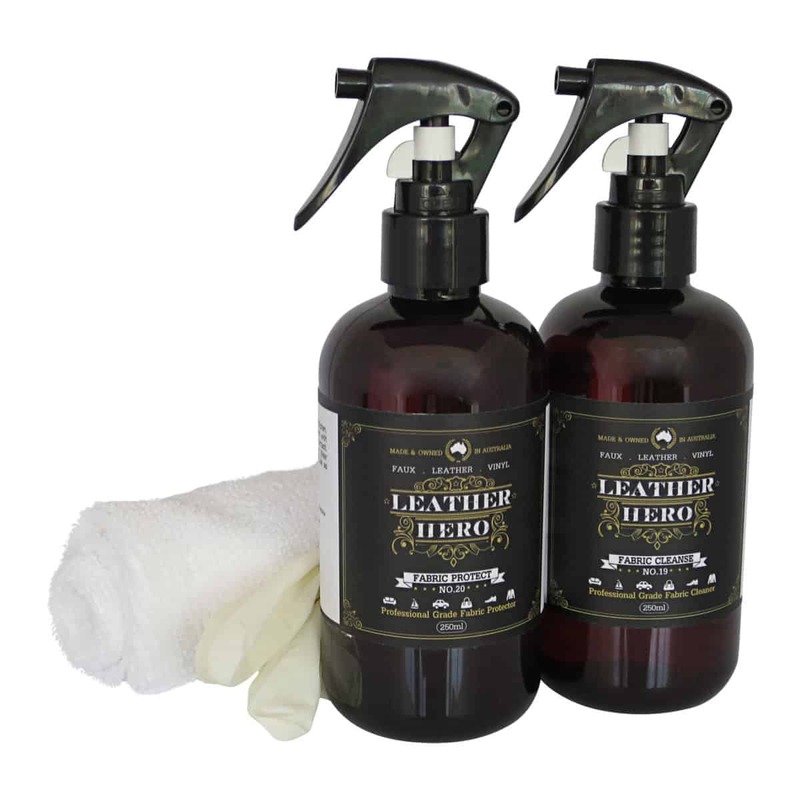 Fabric Care Kit contains Leather Hero’s professional grade fabric upholstery cleaner and protector. Remove dirt, oils and stains then protect your clean furniture and car trim with our advanced polymer shield. Professional grade upholstery fabric cleaner suitable for use on furniture and auto upholstery. 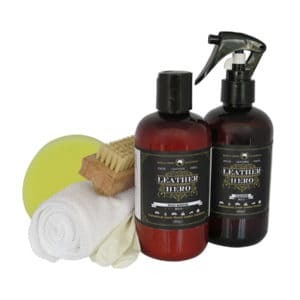 Water-based, easy to use and Australian made, it's a perfect spot treatment, fabric lounge cleaner, car seat cleaner, and can be used on fabric shoes and handbag liners. An anti-stain treatment suitable for car and furniture upholstery fabrics. Helps to repel water, grime and oils giving you time to wipe spills before permanent staining occurs. Fabrics stay cleaner for longer and are easier to clean. 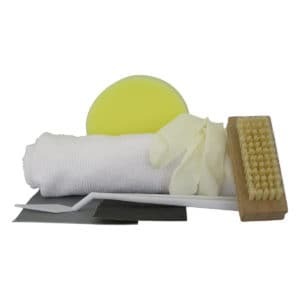 This invisible fabric upholstery protector is ideal for use on new furniture, fabric footwear and fabric car interiors. Featuring advanced anti-stain technology, this commercial-grade water-based fabric cleaner and protector are designed for use on fabric upholstery and automotive trim. Use Fabric Cleanse (No.18) to clean away stubborn marks caused by everyday stain-makers such as oils, pets, foods, drinks, makeup and organics. Protect your freshly cleaned fabrics with Fabric Protect (No.20). Invisible polymers coat and penetrate the fibres forming a web-like shield against grime. With this dynamic duo on hand, your fabric upholstery will keep its good looks much longer.